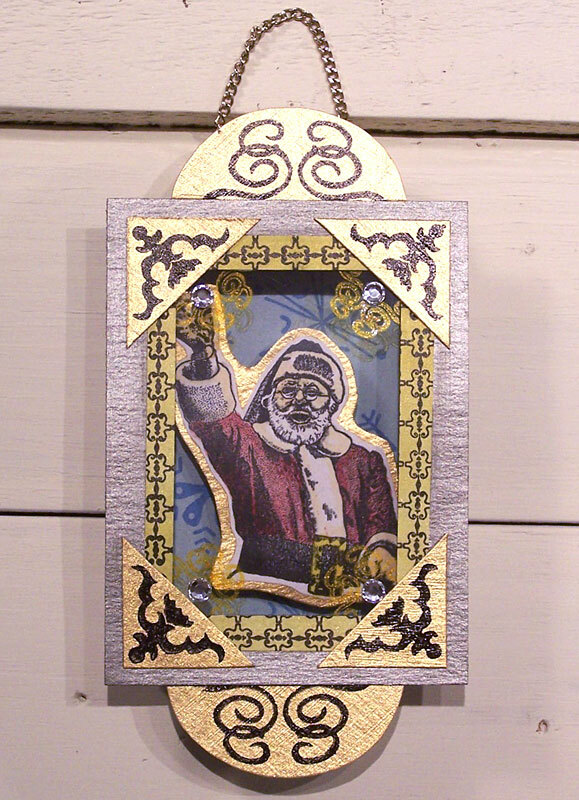 Mixed-media shadow box ornament by Carolyn Hasenfratz. The Holiday 2015 issue of RubberStampMadness is out and I want to let you know about it because my article “No Ordinary Ornament” is published within! If you want to read it check the newsstand at your favorite craft retailer or go to the RubberStampMadness web site to order a copy. My four-page article contains step by step instructions and templates which you can copy and enlarge. Here are some other highlights of the holiday issue – Current Issue. Some of the rubber stamps I used in my samples are from other stamp companies and some are of my own design and are available in my online store, Carolyn’s Stamp Store.